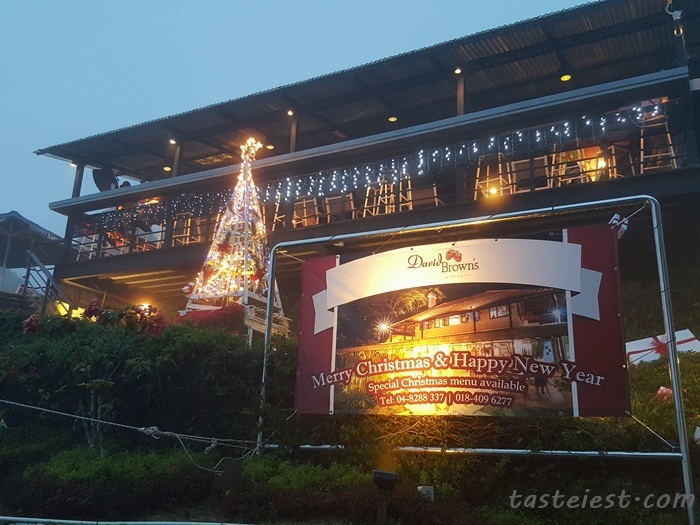 David Brown is one of the restaurant located at the top of Penang Hill offering great variety of Western Food. 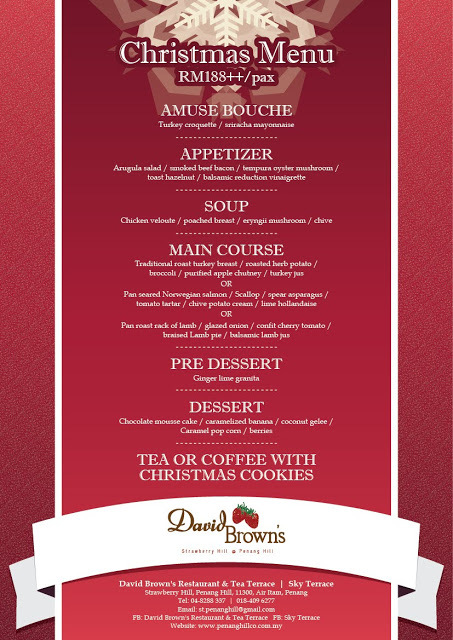 Spending a romantic dinner during the Christmas month at David Brown restaurant will for sure promise a great memory. 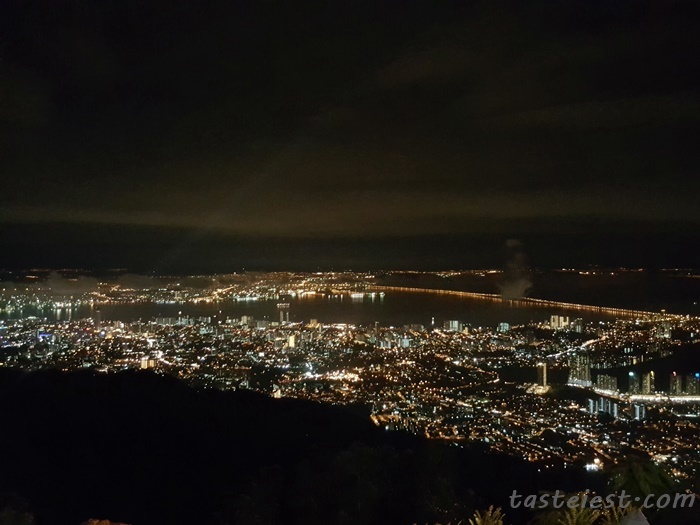 We visit around 7pm just after raining and it is really wonderful, the weather is so cold and feel exactly like Genting Highland. 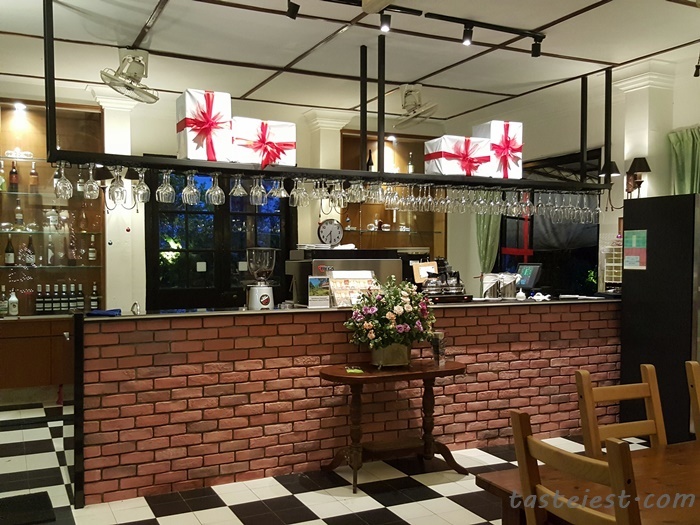 The very first step into the restaurant are truly impress, simple Christmas decoration but it mean so much. 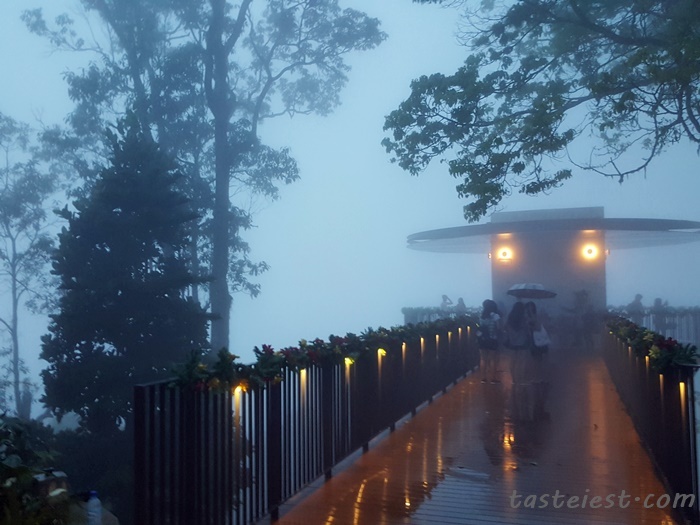 It is so romantic and wonderful. Outdoor seating are available as well. 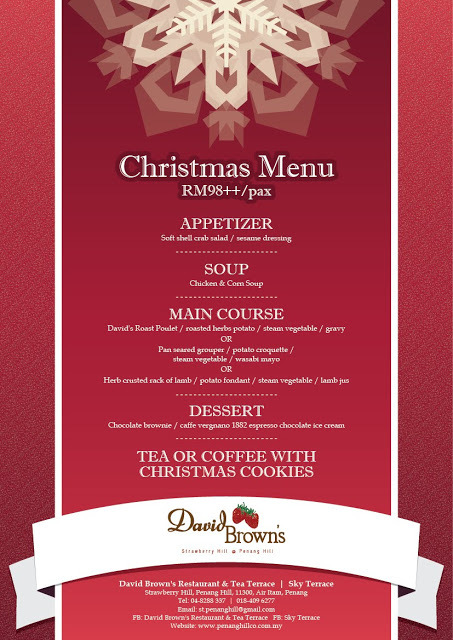 David Brown also accept special booking for wedding, company event, birthday…etc. You may check with them for special arrangement. 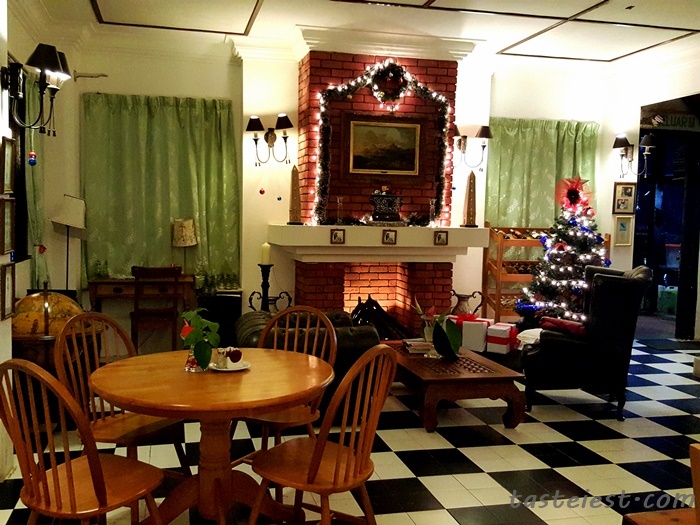 Inside of the restaurant are nicely decorated with Christmas item as well. 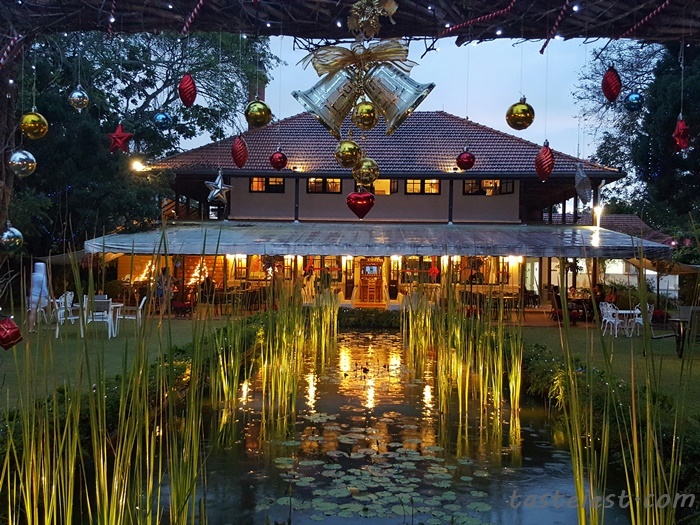 Christmas menu available throughout December month except 24-12-2015 and 25-12-2015. 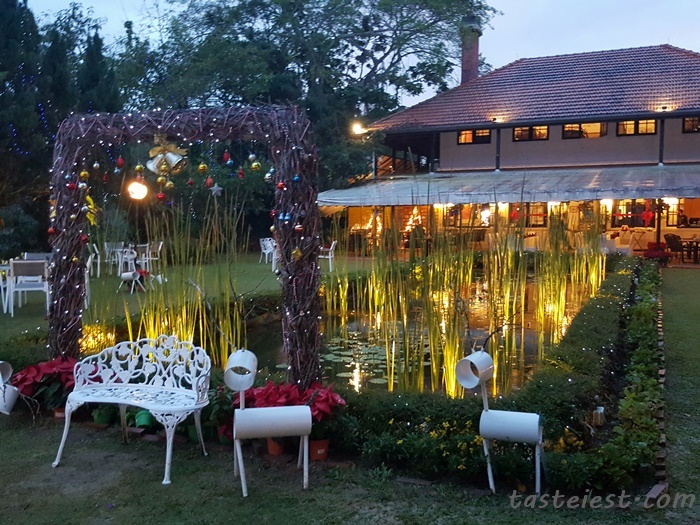 Only RM98++ per pax for such a wonderful dinner set is really worth the value consider the location and the food quality. 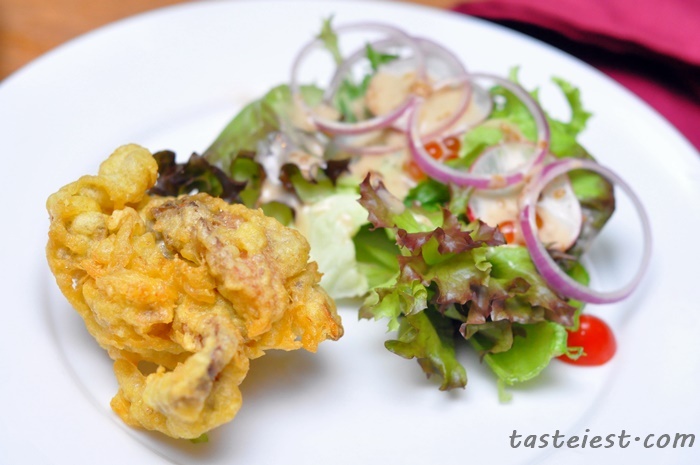 Soft shell Crab Salad with Sesame Dressing, perfectly deep fried soft shell crab that are so crispy. 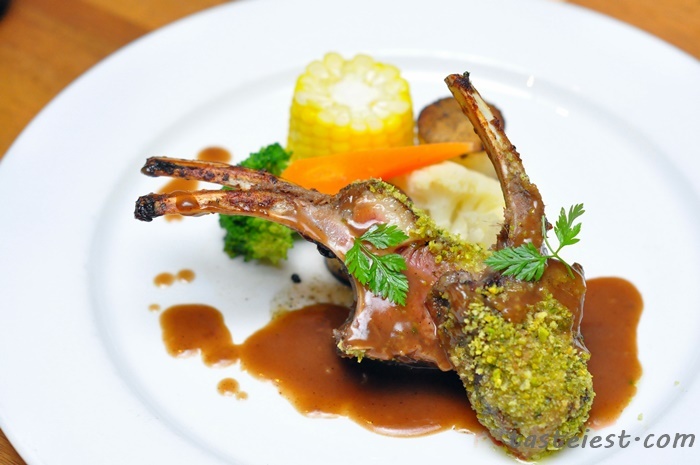 Herb Crusted Rack of Lamb, nicely grilled lamb rack with a touch of herb that gave it a boost in flavor. 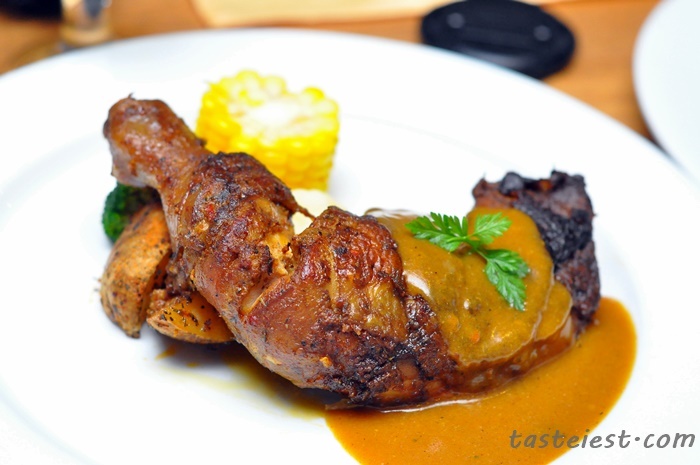 David`s Roast Poulet is one of their signature roasted chicken drum stick. 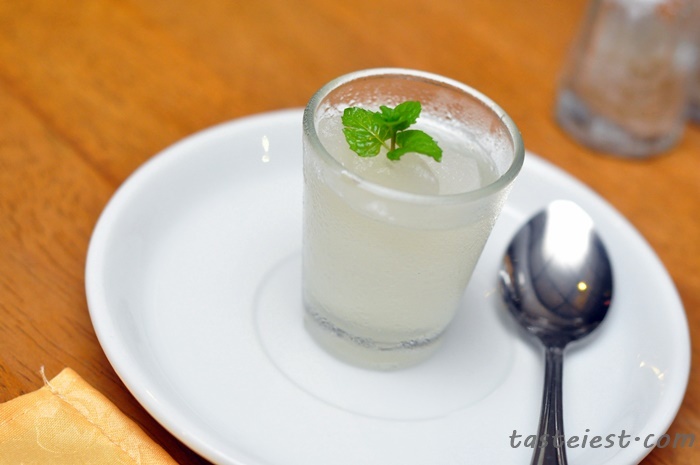 It is perfectly marinated to flavor and roasted to crispy skin with juicy meat. 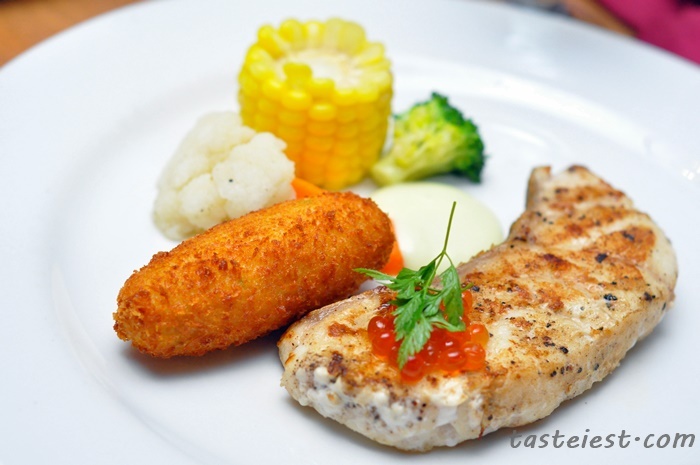 Pan seared Grouper served with corn, vegetable and croquette. 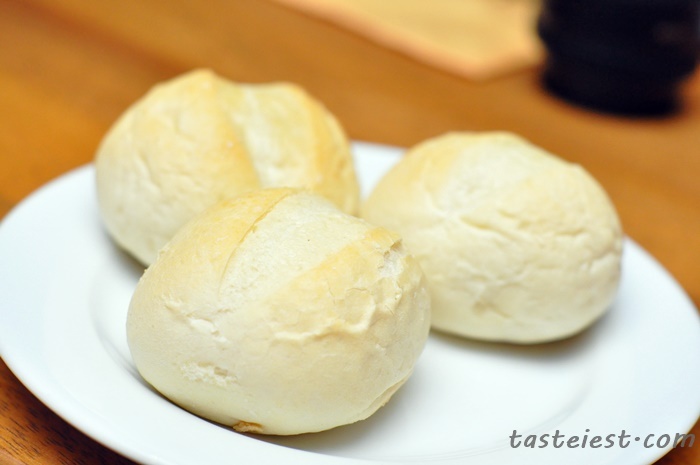 Simple dish with great flavor. 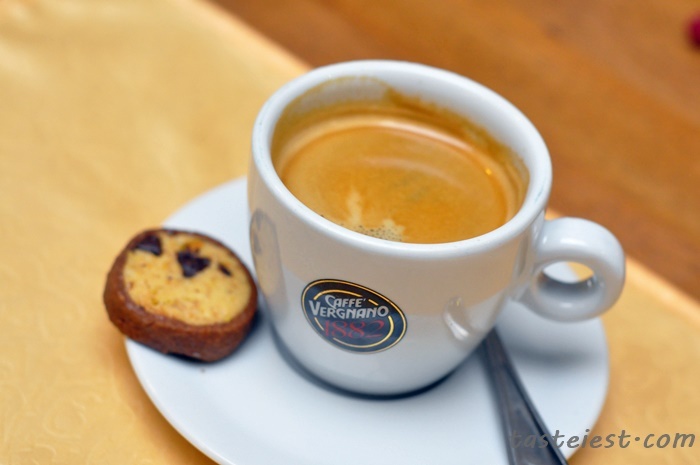 Caffe Vergnano 1882 Espresso Chocalate Ice-Cream, using their signature coffee to create this strong coffee aroma ice cream which has smooth texture and nice flavor. 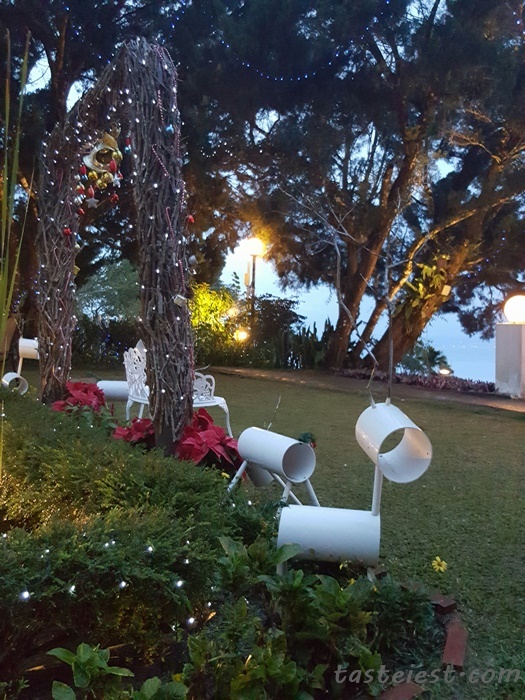 During Christmas Eve and Christmas day the package are RM188++ per pax. 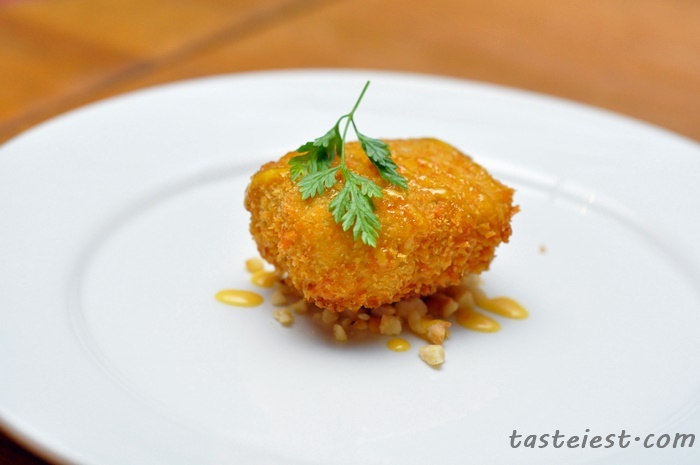 Amuse Bouche – Turkey Croquette with Sriracha Mayonnaise. 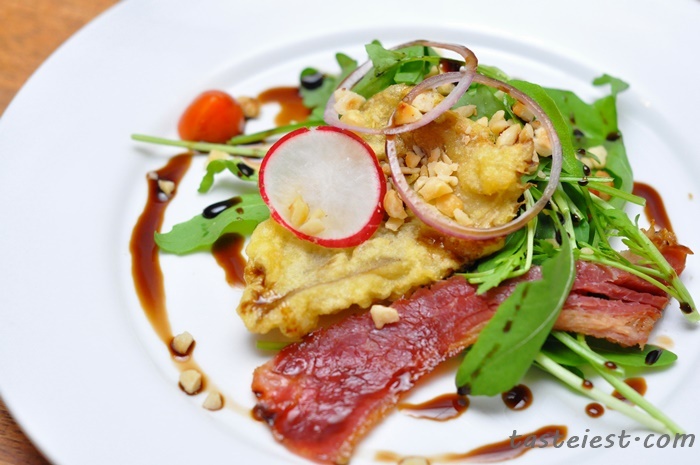 Arugula Salad (Beef Bacon, Tempura Oyster Sauce, Toast Hazelnut, Balsamic reduction vinaigrette). The beef bacon is extremely crispy and eating with assorted fresh crunchy vegetable is just nice. 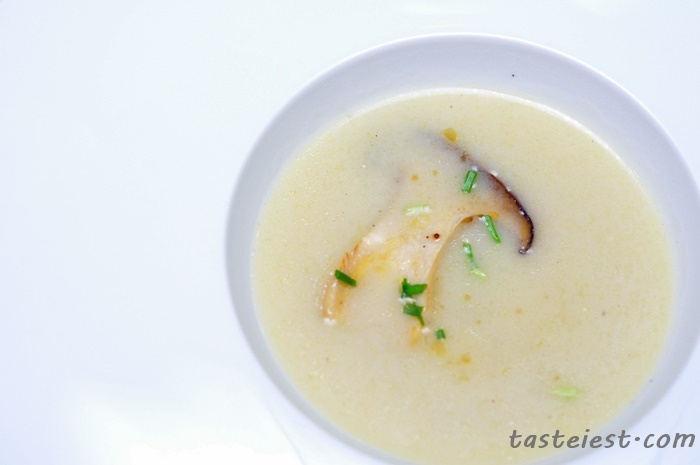 Chicken veloute with Poached Breast, Eryngii Mushroom & Chive. 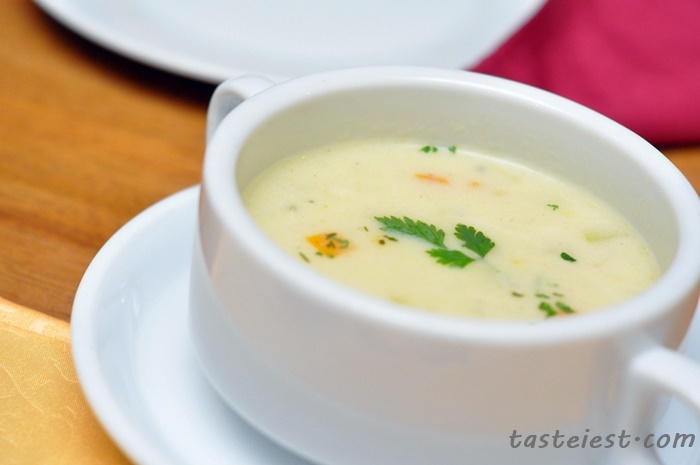 A very fine soup with mild mushroom flavor in chicken stock. 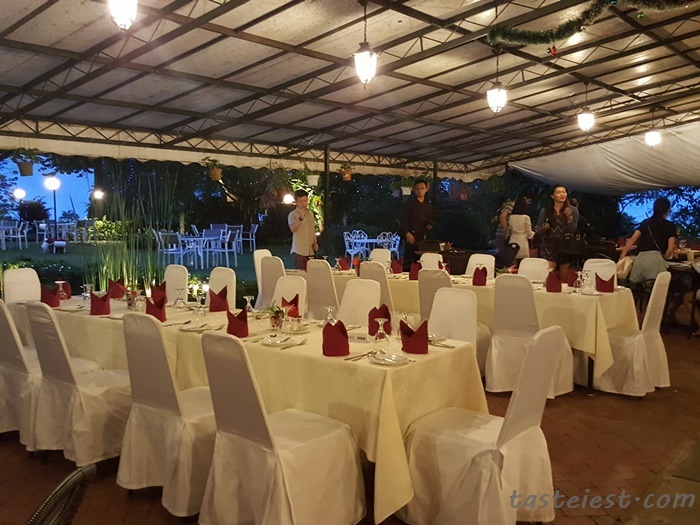 Traditional Roast Turkey, special menu during Christmas. 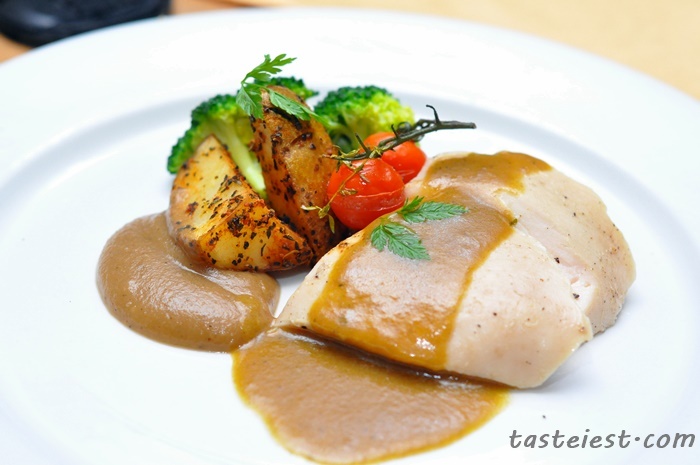 Turkey is a must during Christmas and I am so impress with the soft and juicy Turkey meat served here, it is so smooth in texture and the special sauce served make it a perfect combination. 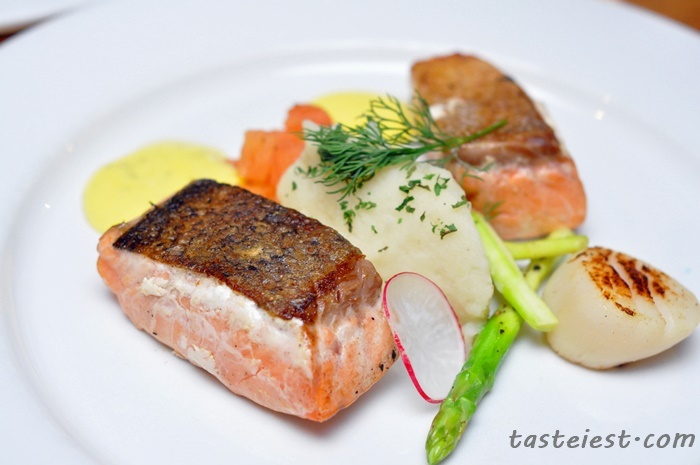 Pan Seared Norwegian Salmon, two big portion of Salmon pan grilled to perfection, the Salmon skin is very crispy while the fish meat retain the fish oil fragrance. 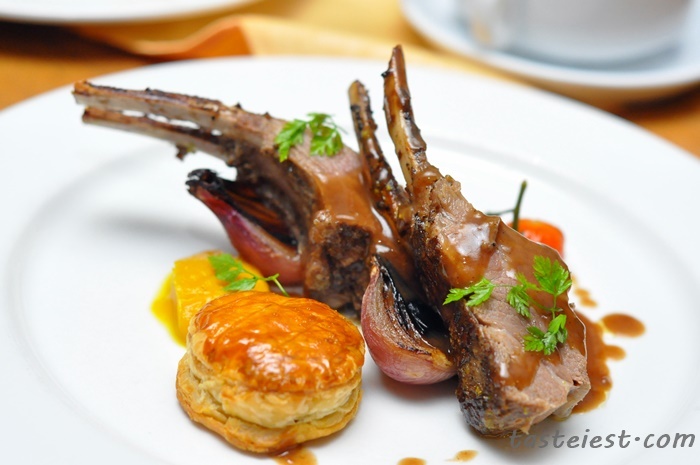 Rack of Lamb, we ate this dish on our last visit and it is one of the best lamb we ever had, same goes to this dish. 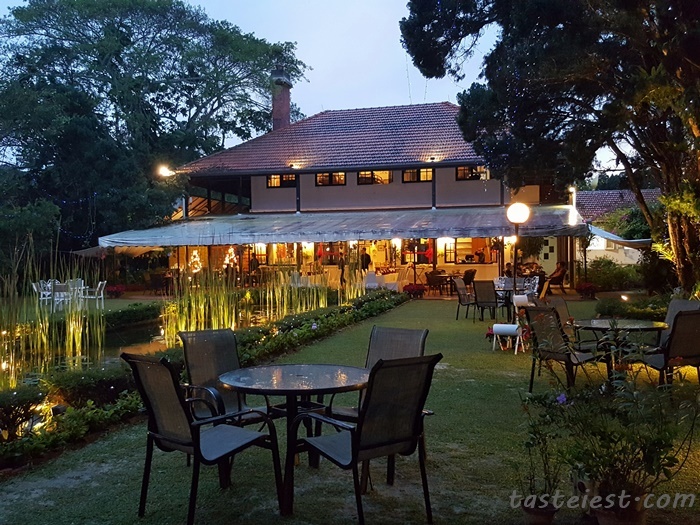 It is still as good as last visit and we just love the perfectly cook lamb that taste awesome. 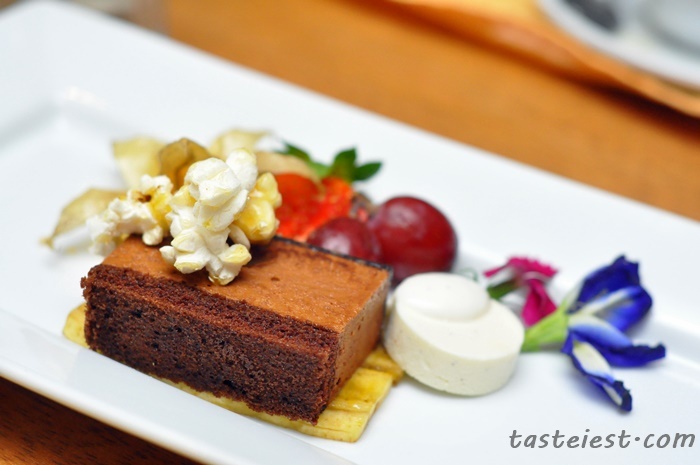 Chocolate Mousse Cake with Caramelized Banana, Coconut Gelee, Pop Corn & Berries. 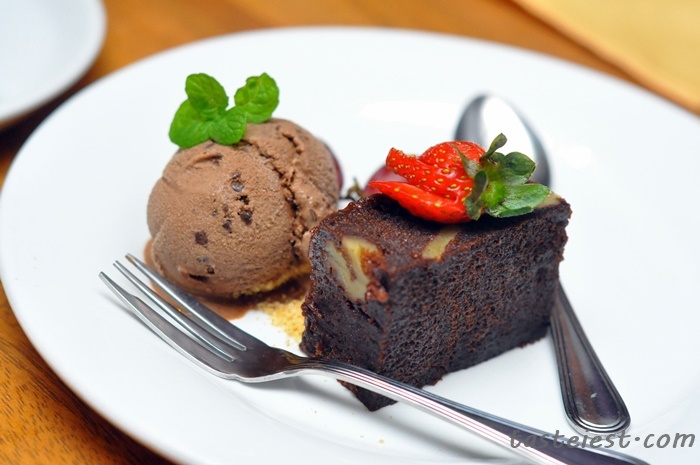 You have to cut through the cake and caramelized banana then eat together to have the special flavor, chocolate has very strong flavor while banana neutralize the bitter taste of chocolate to create a balanced flavor. 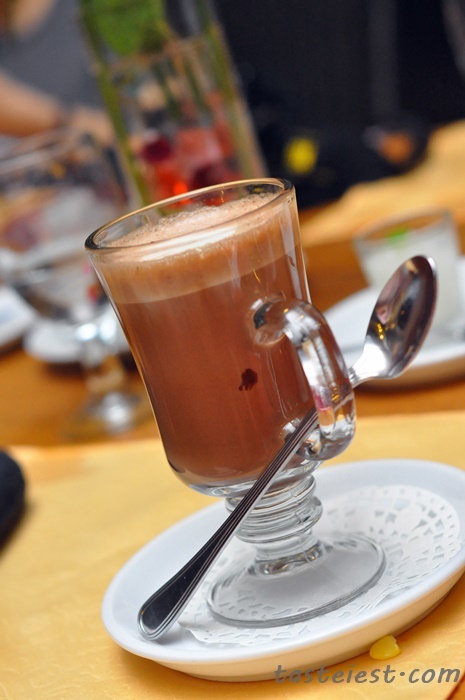 Hot Chocolate are not included in the Christmas package. 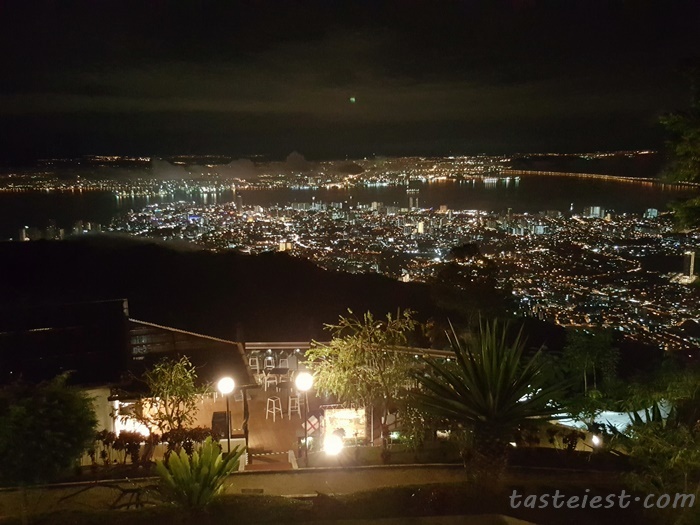 Awesome view from David Brown Restaurant.